56,900 Series: Stainless Steel Enclosure. Enclosure Protection: IP 56 & 57 (formerly referred to by Stearns as NEMA Type 4X). 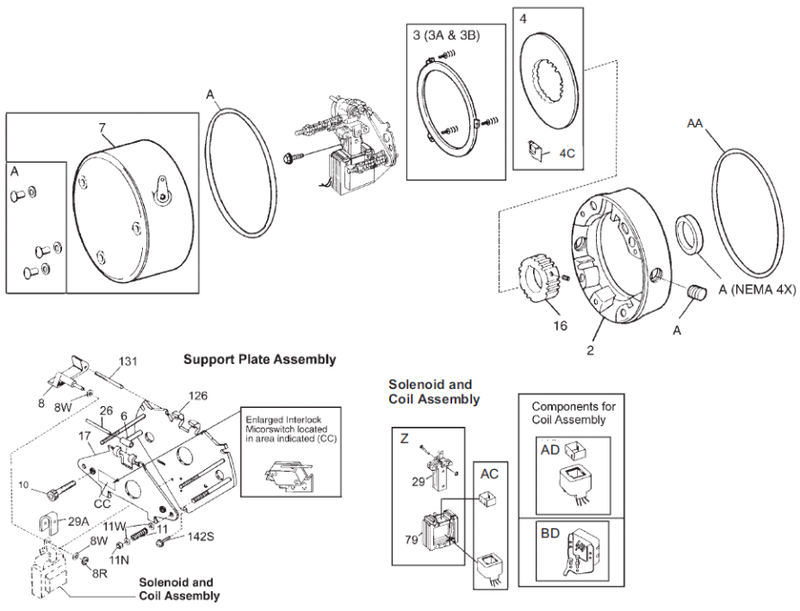 Mounting: Fanguard-mounted brakes requiring IP 56 or IP 57 protection may require additional sealing measures beyond seals provided with the brake - Refer to Installation & Service Instruction Sheets.